Heat the oil over high heat in a large skillet. 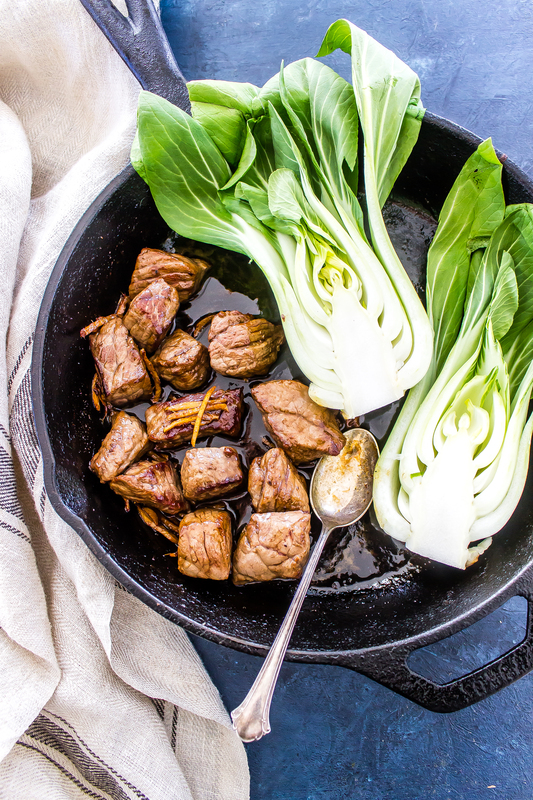 Place the steak and the bok choy in the skillet. Sear the steak 2-3 minutes per side then add in the ginger, saute 1-2 more minutes. In a small bowl or jar whisk together the honey, vinegar, and coconut aminos, pour over the steak and stir until caramelized 1-2 more minutes. Taste for salt and serve.